Cancer Research UK has launched a crowdsourcing smartphone game called "Genes in Space" that aims to use player interaction to help scientists unravel gene data and beat cancer. 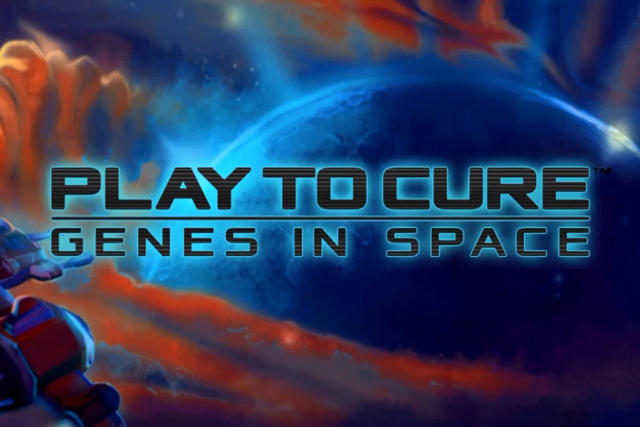 The "play to cure" game launches today and is set in the future, when a new element called Alpha has been discovered and needs to be harvested by players travelling through space. Before the arcade-style space shooter action starts, players must plot their route by marking the peaks and troughs on a blurred image of data. The image is actually a genuine physical depiction of a human gene, and in the act of plotting their way through the landscape, players are identifying critical peaks and troughs that outline gene faults, which will help scientists analyse gene data. The more people who play the game, the greater the accuracy in the data analysis; with the project eventually set to help scientists work out which genes are faulty in cancer patients and develop new drugs to target them. Carlos Caldas, a scientist working on the project, said: "Computers are about 90% precise, but the human eye is very good at pattern recognition." The genes in the game are derived from Cancer Research's own data, sourced from a 2012 study of 2000 patients that Caldas claims has "redefined" breast cancer. The game was initially developed through a "game jam" hosted by Cancer Research. Over the 48-hour hackathon, coders and developers created a prototype for the game, which was further developed by agency GuerillaTea. Its launch is supported by Facebook advertising and social media activity through Cancer Research's various channels. Hannah Keartland, citizen science lead for Cancer Research UK, added: "Our scientists’ research produces colossal amounts of data, some of which can only be analysed by the human eye, a process which can take years." She said that a previous crowdsourcing effort, "Cell slider", which launched in October 2012, resulted in more than 2m new classifications from players globally, with the initial data being analysed in three months by users, as opposed to 18 months by the charity's scientists alone.